How do you build forward momentum for a State of rapidly changing jobs? South Australia’s job market was changing, with traditional industries wrapping up and new job areas beginning to grow. As part of the State Budget, the Government announced several measures aimed at moving the workforce from old to new, and helping these future industries expand. 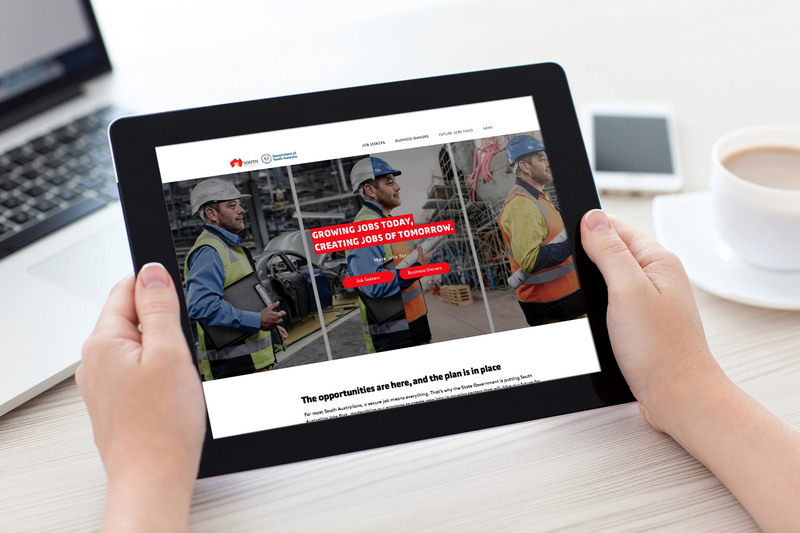 The agency was tasked with letting South Australians know that things were changing – and changing in a good way. 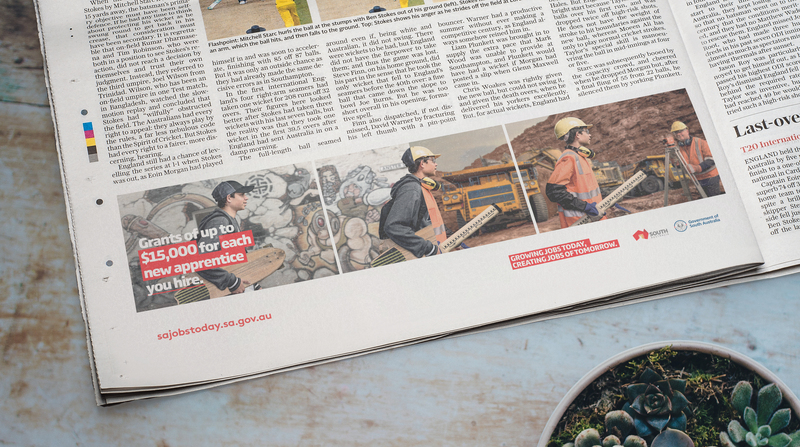 The agency responded with a campaign that brought forward momentum to life, showing South Australians stepping forward for new opportunities, from their old jobs straight into new industries. It showed workers a clear path ahead, regardless of your stage of career, and showed businesses that the State’s workforce would be ready to step up to learn new skills thanks to these Government initiatives. The large-scale campaign launched alongside the budget announcements, and quickly had an impact. Over 50% of South Australians both supported the Government’s investment in creating new jobs, and could easily recall the declaration of “Creating jobs for tomorrow”, with nearly 60% of those asked agreeing that the campaign made its point clearly. This campaign also set the groundwork for future initiatives and campaigns, including JOBEX.